As man’s best friend, we want to do whatever we can to ensure our pet is kept safe and comfortable during their lives with us. For this reason, many people choose to purchase a dog kennel to help contain their pet thanks to the numerous benefits it can have for both your animal and others. If you have a dog that lives outdoors, or just spends some time outside every now and then, it pays to invest in a quality kennel for them. Not only can these kennels keep them safe from dangers and weather, but it can protect other animals and people from your dog too. To repay them for their years of loyalty and love, our dogs deserve the very best and most comfortable place to play, sleep, and ea﻿﻿t, and a quality dog kennel can provide them with just that. However, it can be confusing and overwhelming to look through the hundreds of varieties of dog kennels available before you decide on one that’s best, so we’ve narrowed down your search with this handy buying guide. If you’re still sitting on the fence in regards to buying the best dog kennel, or just want a little more information on how they can benefit your family and dog, here are a few of the reasons why people are happy to invest in these products for their pet. 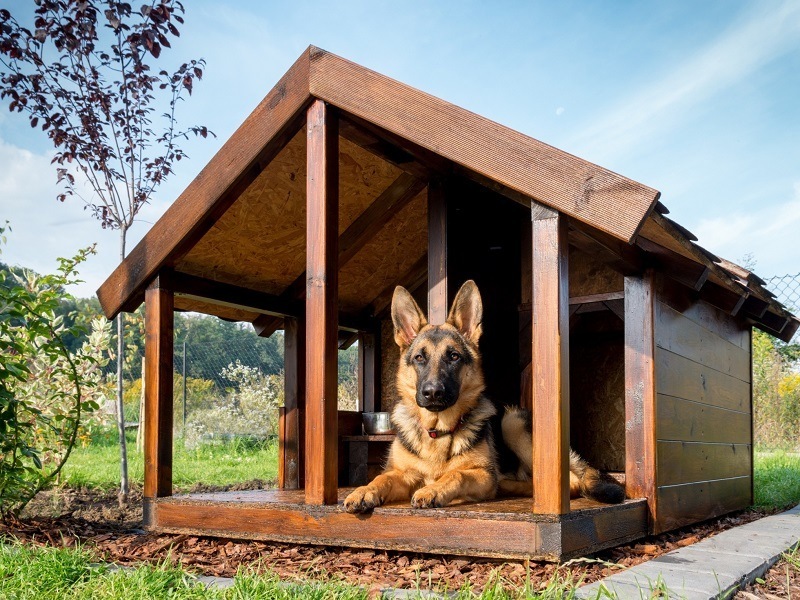 The number one benefit of a dog kennel is protection, whether it’s from another nasty neighborhood dog, wild animals, harsh weather, or people entering into your yard. A kennel keeps them contained with enough room to feel safe. If your dog is prone to becoming frightened or aggressive when others are around, an outdoor dog kennel is a perfect solution. Your friends and family can feel safe when your dog is around, and your dog can feel safe from others too. One of the biggest benefits to owning a dog kennel is that it makes toilet training your pet a whole lot easier. For many owners, this is the only way they’ve successfully managed to toilet train their dog, so they can be for more than just protection. When your pet is contained in their own comfortable space there’s less mess and destruction inside your house and around the garden. Cleaning out the kennel is far more convenient that finding trails of their mess around the home, so it’s a great time saver too. To enjoy all of these benefits, though, you can’t just choose any old dog kennel and hope it will do the trick. There are some must-have features and specifications to look for before you purchase so that you can benefit from all of these things. Before we get into the best outdoor dog kennel products, we should understand a bit about what they offer the owners and pets. Here are a few things you should consider when purchasing your dog kennel. Depending on your breed of dog and how much space you want for them, the size of the kennel will be important. These can range significantly in size, both width, and height, so check your available space before purchasing. The most common is a wired dog kennel as it allows the owner to see through the wire and give your dog a clear view of their surroundings as well. Some kennels have the option of configuring the shape and size of the kennel to suit different needs, so if you plan on moving yours around you may need to consider one that can be rearranged. Some kennels come with weatherproof coverage above, so depending on your intended use you might need to consider this feature. 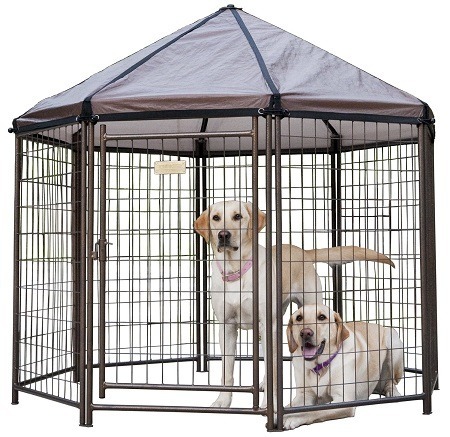 If you’re using the kennel indoors it’s probably not necessary, but otherwise, it’s a must-have feature. Especially if you plan on moving the kennel around, you want something with an easy setup and assembly. Many kennels have pre-assembled modules which simply fit together, making them easy to set up and take down. After considering all of these features, we’ve compiled a list of the top five dog kennels available. These represent some of the best to suit all budgets, so you don’t need to spend large if you can’t afford to just to get something quality to suit your four legged friend. If you’re looking for a quality dog kennel for your pet but don’t have a lot of money to spend, you’ll be pleased to know that there are some great heavy duty quality kennels available for under $200. These products might be cheaper, but they are still made with quality materials and with convenience and comfort in mind. Representing one of the most affordable of our top choices for dog kennels, this Advantek Pet Gazebo Modular Outdoor Kenne﻿l certainly has it all. Made from a sturdy steel construction and with a powder coated finish, it has both strength and comfort for your dog. This kennel measures 60 x 60 x 60” which means it’s ideal for dogs up to 100lbs, and because it’s so easy to assemble you can take it anywhere. Some reviews of this product have stated that the access window should be replaced with a door panel to make it easier, which is usually the case on the more expensive doors. If you’re happy to use the safe latching access window for your dogs, though, it can certainly save you a lot of money rather than upgrading to a more expensive one. Just be sure you can lift your dog in and out of a window panel before you purchase, perhaps by testing it out at home first. The Advantek Pet Gazebo also comes with a weatherproof cover which makes it perfect for indoor and outdoor use. When you’re inside the top comes off easily, and it’s simple to put back on should you need sun or weather protection outdoors. 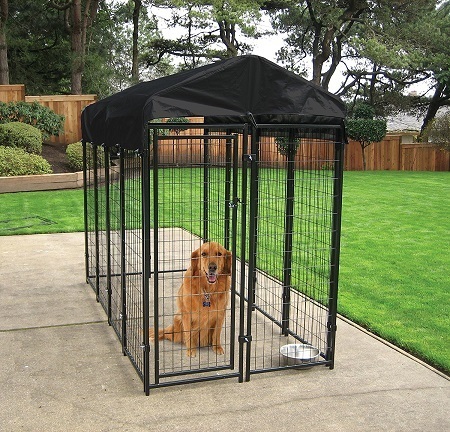 Overall, this gazebo ticks all of the boxes for a basic dog kennel and it’s well worth the money spent. For a dog kennel that can be configured to suit your many different needs and uses, it has to be the Precision Courtyard Dog Kennel. This amazing product comes with six panels which can be configured and switched around to provide you with a range of setups. Whether you want a gate, enclosure, or something entirely different, you can get it all with just this one product. The set up was incredibly easy using just a drop pin, so it was simple to do and gives you peace of mind that your dog won’t be exposed to any harmful screws or wires. Although there is a handy door access on this, some reviews have stated that because it was lower than the pen itself their dog was able to jump on it and open it. Depending on your breed of dog and their size, you might need to keep a watchful eye when using this. If you think your dog would be able to escape using this mechanism, it might be best to look elsewhere or consider adjusting the lock yourself. The construction of the Precision Courtyard Dog Kennel is extremely well made, and it’s been built with aluminum panels. These panels are covered with rust resistant properties so it’s ideal for either outdoor or indoor use. If you’re looking for something customizable and quality, you can’t go past this Courtyard Dog Kennel by Precision. For a dog kennel that’s on the budget-friendly side, you can’t go past the MidWest Exercise Pen. This lightweight but secure dog kennel is great for dogs who need a little outside time occasionally to stretch their legs. 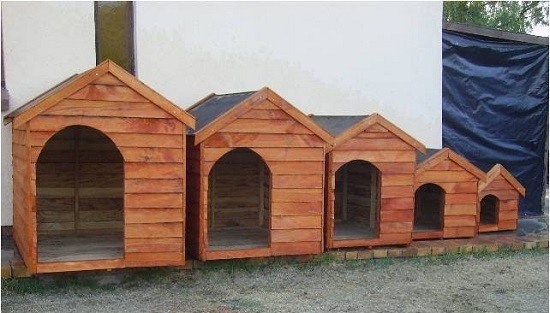 Because it’s one of the more affordable options, it’s not really intended to be a permanent home, but it’s perfect for dogs who only spend a bit of time outside. This one specifically is 36” tall, so if you have a larger dog or one that can jump quite high you might need to invest in something larger. However, for most smaller breeds and even mid-size this should be adequate enough. With this size, you’re given 16 square feet for your dog to roam in which is ample space for a smaller dog, provided they aren’t too big. The set up was simple with the MidWest Exercise pen, and because you don’t require any tools it makes the perfect dog kennel to take on the move. If you’re planning holidays or just visiting friends, this can be packed away easily and assembled again in just minutes when you reach your destination. For the cheapest option dog kennel with quality and comfort behind it, it has to be the MidWest Exercise Pen. For those pet owners who are able to spend a little more on their dog kennel, there are some great options for just over the $200 mark. These offer a higher standard of quality and convenience for the owner and dog, so if you can afford to spend a little more then you’ll be getting excellent value for the extra money. Although the PetSafe Cottageview Boxed Kennel is one of the more expensive options, it’s certainly worth the extra cost. This dog kennel not only looks amazing, but it does a stellar job of keeping your dog contained and comfortable for as long as you need. The best thing about the PetSafe Cottageview Boxed Kennel is that when the time comes and you need to expand on it, there are plenty of additional accessories and panels available. This means you can fully customize it to meet your needs if you move house or decide it’s time to get another dog. This kennel is made with the highest quality materials and it’s finished with a rust resistant coating so it can be left in the outdoors without a worry. 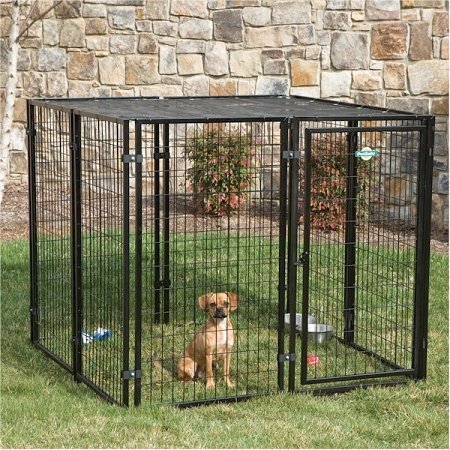 The black powder coated finish not only looks great but it can protect your dog from any scratches or nicks that come with using a wire cage dog kennel. One small design flaw with this cage was that some dogs might be able to jump up and open the latch which holds the door access together. Depending on your breed and their size this may or may not be an issue, so always check the height requirements first. 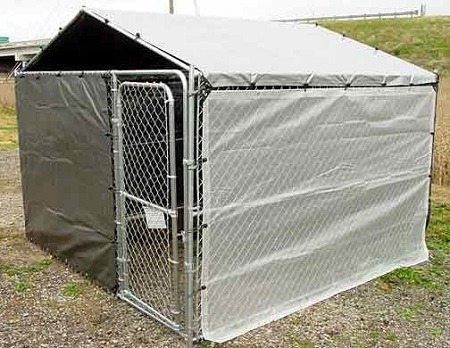 Overall, though, this is certainly one of the higher quality dog kennels that look great and work even better. 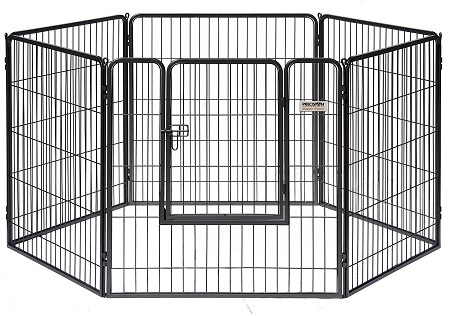 For a heavy duty steel kennel that gives your dog ample space to move around, you can’t go past the Lucky Dog Uptown Welded Wire Kennel. This dog kennel is one of the more expensive options but it comes packed with extra features and quality that just aren’t found when you choose a budget-friendly choice. This dog kennel is an ideal choice for dogs who spend more time outside than inside, and with a heavy duty tarp cover, it can keep them protected from all kinds of weather including rain, sun, and snow. Because it’s more heavy duty and with steel construction, you can feel the peace of mind when your pet is inside and you’re not there to keep an eye on them, so it’s great for dogs who spend time alone. Some reviews have stated that the cage itself does a good job, but you might want to consider additional products to secure it together. This will ensure your dog doesn’t break free, particularly if they’re a larger breed who is usually skilled at breaking through things. Other than this, the Lucky Dog Uptown Welded Wire Kennel is a quality product that will last you and your dog for many years through even the toughest conditions. Whether you have no room inside for your dog to run around or you’re looking to protect them and others from them, a dog kennel is the solution for all of your problems. Because people these days are happier to spend a little more and invest their time in making sure their pets are comfortable, there’s now a greater selection than ever for the best dog kennels. For the best budget dog kennel under $200, the clear choice is the Precision Courtyard Dog Kennel. 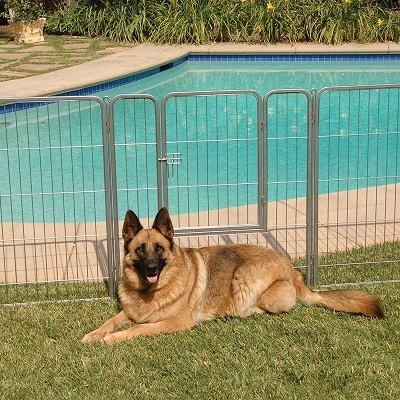 The main reason this was chosen as the top pick was due to its adjustability, making it ideal for use as either a fence or kennel. This suits all sizes of dogs and all environments, so when you consider the low cost compared to others it really can’t be beaten. 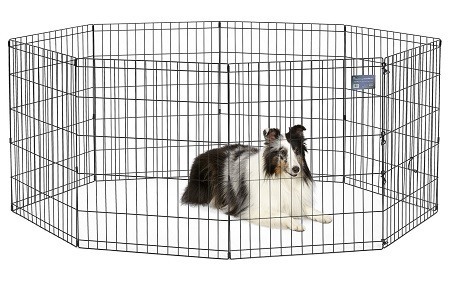 If you’re looking to spend a little more for quality and convenience, our top pick for best dog kennel over $200 is the Lucky Dog Uptown Welded Wire Dog Kennel. This is the best dog kennel for large dogs due to its size, but you should heed the warnings from other reviewers and ensure that’s its secured safely before you leave your dog alone. This small matter aside, there was nothing else to fault with the Lucky Dog Uptown Welded Wire Dog Kennel. No matter which of these choices you go with, your dog will certainly thank you for making an investment in their comfort and wellbeing. Giving your dog a kennel that suits them perfectly and gives them a safe and comfortable place to stretch their legs means both of you can benefit for years to come.